I guess it has been a while since I have done a Thursday Things! I think I was waiting for fall to really arrive, y’know, with the weather and all. Alas, I think we will be waiting a while. If you are new around these parts, Thursday Things is just where I mention five things that I liked about my week. It could be products, experiences, songs, whatever! I love looking back on them, and it is always nice to think of the good things that happen in a week. First is this Whamisa by Glow Recipe Green Tea Serum Toner that I picked up at Target. Now, I have never been much of a toner gal, just because my bedtime routine is already so long, even longer now that I have braces…so it was just one.more.step that I had to do. I figured I would go ahead and try this one and I love it. Very mild which is great for my sensitive skin. I love how it feels after, and then adding moisturizer is the icing on the cake. 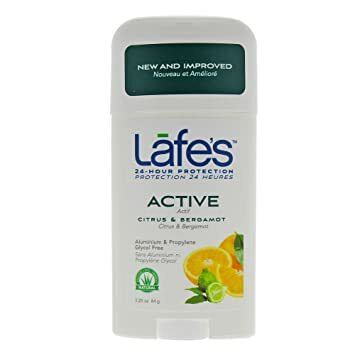 Next is Lafe’s Active deodorant. I know I posted about a deodorant last time that I loved, but it all of a sudden gave me a rash. Of course it has to be the coconut because that’s the only thing I have gotten a rash from before with other products. I am trying to find more natural deodorants without aluminum and such, and while I like the smell of this one, it doesn’t work the greatest without reapplying it. But for now, it’s one of the only options that I have found that is natural without coconut. Please let me know if you know of other options for me! I love my Waterpik Water Flosser! When I first got my braces my teeth were sore for sooo long, there was no way I was going to be able to floss properly. It also seemed like my teeth were moving closer together! Eek.. So I am glad that I picked up one of these guys. You can set the pressure to whatever you want, I started on the low side and moved up higher gradually. I recently had my six month cleaning and they said I was doing a good job with my teeth, so I feel good about that too! So, that’s my Thursday Things this week! Let me know what you liked about your week!